Emed > News > Were Herbal Supplements Linked to Organ Failure? Were Herbal Supplements Linked to Organ Failure? If recent headlines are to be believed herbal supplements (note the umbrella term!) are causing our organs to fail at an alarming rate! ABC News headlined a story 1/3/2016, which has been taken up by a number of media outlets, stating that at least six Australians needed organ transplants in the past five years after taking herbal supplements. Since 2011, three liver transplants and three kidney transplants have been given to people who became extremely ill after taking some kind of herbal supplement. The article did not indicate what kind of herbal supplement caused the organ failure. However liver transplant specialist Dr Nick Shackel from Sydney’s Royal Prince Alfred Hospital said he had dealt with multiple cases of liver failure and transplants associated with herbal supplements. He believed in some of these instances that green tea (Camellia sinensis) extract was to blame. There is research that suggests green tea extract can become toxic at the equivalent of 24 cups in a day.”There are compounds in green tea which if taken in excess give you predictable liver failure,” he said. The article illustrated the case of a West Australian man who had experienced near catastrophic liver failure from a ‘multi vitamin’ he purchased from an overseas website to address his macular degeneration. His doctors believed that the most likely culprit for his illness was the ‘multi-vitamin’ which contained bark extract and green tea extract. Another case referred to a man who had taken a whey protein supplement (HydroxyBurn Elite) that contained many other ingredients, including green tea extract, green coffee extract, African mango extract, guarana and various vitamins and minerals. In addition this man was taking a weight loss supplement containing 70% Garcinia cambogia. He became so sick so fast he needed an emergency liver transplant, and had to accept an new organ infected with hepatitis B. Doctors suspect the green tea extract as being the cause, however, with so many ingredients present in the supplements, it was hard to pinpoint which was responsible. Green tea and green tea extract have been demonstrated to have beneficial effects on total cholesterol levels, low density lipoprotein cholesterol levels, blood pressure, and fasting blood glucose levels. 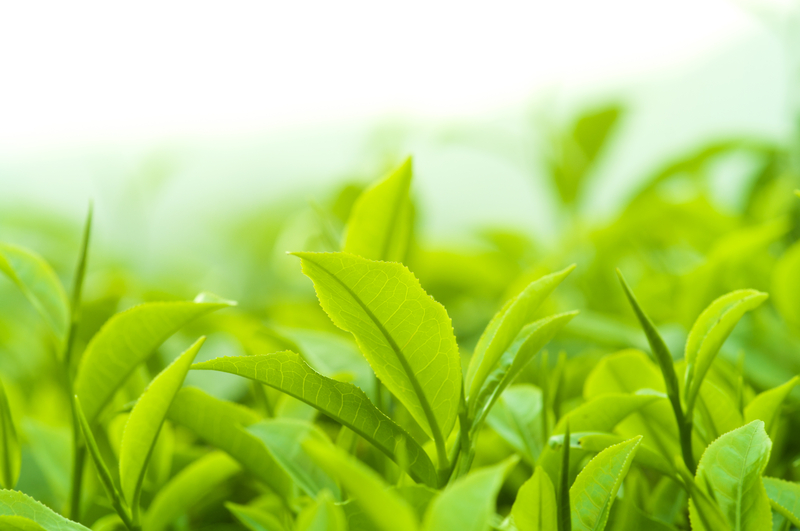 However, over 60 case reports linking green tea extract with hepatotoxicity have been published. The American College of Gastroenterology has released recommendations about green tea extract. They believe that the constituent that is problematic is a type of polyphenols called catechins and the most suspected of these is epigallocatechin-3-gallate (EGCG). Catechins target mitochondria— our cells powerhouses and prevent them from being able to help your body metabolise food and turn it into energy. This can lead to jaundice, hepatitis, or liver failure. Additionally catechins can deplete some of the protective molecules in cells such as glutathione that are there to protect us from injury. Researchers believe that there may be a genetic component that makes some people more susceptible to liver damage from catechins when compared to other individuals. The recommendation is to limit consumption to no more than 500 milligrams (mg) of catechins per day. Green tea extract can be regulated as either a food or a supplement in Australia. It all depends on whether manufacturers make a therapeutic claim or not. It would be up to the Therapeutic Goods Administration as to whether there were warnings put on supplements with green tea extract in the future. Garcinia cambogia is used in many weight-loss supplements despite being linked to some cases of liver failure. Dr. Oz (a TV doctor from the USA), claimed on his show that this tropical fruit is a “holy grail” for weight loss. There is now a class-action lawsuit against him after he featured a garcinia cambogia product. The lawsuit says “all credible scientific evidence” regarding Garcinia cambogia says it does not work. In 2005, a mice study published in the journal Food and Chemical Toxicology discovered that while Garcinia cambogia seems to aid in weight loss, excessive amounts of the Malabar tamarind extract seemed to cause testicular atrophy and toxicity. Dr. Venkata Kodali of the University of Western Australia wrote in the British Medical Journal two years ago that a healthy, young man had visited the emergency room in an unwell state. The man was having palpitations, and an ECG revealed that he had irregular heartbeat. The man noted that he had been taking supplements to gain muscle. One of the components found in the supplement was yohimbine, a stimulant that elevates adrenaline levels and inhibits a process that typically prevents fat burning in cells. There are concerns that yohimbine causes severe anxiety in susceptible individuals, while it may trigger suicidal episodes or manic psychosis in people with bipolar disorder. Yohimbine can also affect neurological medications. Products which make a therapeutic claim, like the garcinia cambogia supplement are regulated by the Therapeutic Goods Administration (TGA). But in products such as protein powder, they are usually regulated through Food Standards Australia and New Zealand with enforcement by state health authorities. Overseas products do not have the same regulatory systems that Australian made brands and their products are required to follow. Is it possible that these problematic products were contaminated with toxic ingredients or herbs that were substituted/adulterated in place of the stated ingredient. The multi-vitamin description in the media is also incomplete, insufficient and confusing – One has to ask what exactly is a ‘bark extract’ ? What kind of bark was used? No practitioner brands in Australia who make a multi vitamin put ‘bark’ of any kind in their formulas. Always talk to your practitioner when starting new supplements. Just because an ingredient is ‘natural’ doesn’t mean it is safe. Research has shown that some ingredients may impact negatively on someones health if it is taken incorrectly, if there is a preexisting condition or if that individual is genetically susceptible to injury. We need to acknowledge that ingredients such as green tea in excessive doses may have a role to play in damage to the liver. What is not helpful is the hysteria of headlines saying herbal supplements (as a umbrella term) cause organ failure. When prescribed by a knowledgeable and trained practitioner, supplementation allows a tailored protocol for an individuals needs. Correct case taking is essential where a detailed history is conducted and any potential interactions discovered. When used correctly supplementation provides useful therapeutic actions to address a wide range of conditions. Peer reviewed studies have clearly indicated this. By utilsing practitioner ranges, we can be assured that the ingredients and formulas have all undergone stringent regulatory and safety processes under the governing body in Australia; the TGA. In this way we can minimise the near catastrophic health consequences experienced by some susceptible individuals.